On June 21st, we’re joining our fellow Canadians to celebrate National Indigenous Peoples Day (NIPD), a day to recognize and celebrate the unique heritage, diverse cultures, and outstanding contributions of First Nations, Inuit, and Métis peoples. 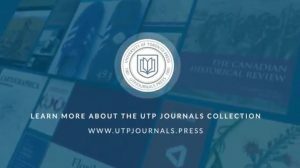 Our journals are filled with thoughtful articles on everything from Indigenous history to the Truth and Reconciliation Commission, from language revitalization to the crisis of missing and murdered Indigenous women. This week, we’re opening and featuring a selected reading list from our collection—and we’re especially thrilled to show off an article by Meghan Longstaffe, recent winner of the Hilda Neatby Prize! Her article in the Canadian Historical Review, “Indigenous Women as Newspaper Representations: Violence and Actions in 1960s Vancouver,” won best article in English. In “A Long Road Behind Us, a Long Road Ahead: Towards an Indigenous Feminist National Inquiry,” from the Canadian Journal of Women and the Law, Cherry Smiley looks at the consequences of dehumanizing constructions of Indigenous women and girls, calling for an expressly feminist framework in order to address the issue of male violence. Allan Downey and Susan Neylan tackle “Indian Sports Days,” drawing attention to how Indigenous communities have used sports organizations to challenge, resist, and even displace colonial agendas. “Raven Plays Ball: Situation ‘Indian Sports Days’ within Indigenous and Colonial Spaces in Twentieth-Century Coastal British Columbia” is one of the Canadian Journal of History’s most downloaded articles. In “The Thing About Obomsawin’s Indianness: Indigenous Reality and the Burden of Education at the National Film Board of Canada,” from the Canadian Journal of Film Studies, Bruno Cornellier explores how, for First Nations peoples, the relationship between education and media images is incredibly complex. What role does the news media play in delegitimizing Indigenous political advocacy and perpetuating fears relating to social disorder and violence in Canada? In “‘Smudging, drumming and the like do not a nation make’: Temporal Liminality and Delegitimization of Indigenous Protest in Canada,” from the Journal of Canadian Studies, Richard G. Baker and Nadia Verrelli explore the threat that Indigenous protest poses to Canada’s national identity. In the Canadian Theatre Review’s “Experiencing Indigenous Work—Developing Critical Voices: Three Views,” Cole Alvis, Carol Greyeyes, and Brittany Johnston discuss the future of Indigenous critical practice, performance in the context of reconciliation, and challenges to the development of Indigenous criticism in Canada.